Pulpwood Queens book clubs honor "Empty Mansions" and "Songs of Willow Frost"
"Empty Mansions" and "Songs of Willow Frost" were honored as books of the year by votes from the 650-chapter Pulpwood Queens Book Clubs. The two Ballantine books received their awards Saturday, Jan. 17, at the 15th annual Pulpwood Queens Girlfriends Weekend, a celebration of reading and fun held this year in Nacogdoches, Texas. Jamie Ford's "Songs of Willow Frost: A Novel" was named fiction book of the year. Set against the backdrop of Depression-era Seattle, "Songs of Willow Frost" is a powerful tale of two souls — a boy with dreams for his future and a woman escaping her haunted past — both seeking love, hope, and forgiveness. "Songs of Willow Frost" is the second New York Times bestselling novel by Ford, author of "Hotel on the Corner of Bitter and Sweet." "Songs of Willow Frost" was an international bestseller and a finalist in the Goodreads Choice Awards for Best Historical Fiction. The paperback was published on March 11, 2014. "Jamie Ford is a master storyteller," said Kathy L. Murphy, founder of the Pulpwood Queens. "This time we fall in love again as our heart breaks, aching for this young orphaned boy who is on a quest to find his movie star mother." The nonfiction book of the year award went to "Empty Mansions: The Mysterious Life of Huguette Clark and the Spending of a Great American Fortune," the No. 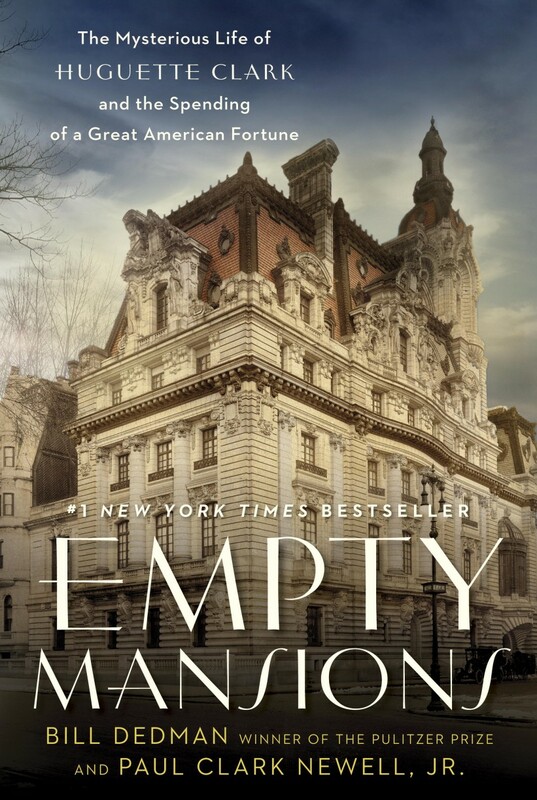 1 New York Times bestseller by Bill Dedman and Paul Clark Newell, Jr. "Empty Mansions" is a mystery of wealth and loss — and a reclusive heiress named Huguette Clark. "Empty Mansions" debuted at No. 1 on the New York Times best sellers list. It was named on best-of-the-year lists from Goodreads, Barnes & Noble, and Amazon.com, and on the year-end favorites list from New York Times book critic Janet Maslin. The updated paperback was released on April 22, 2014. Ryan Murphy ("Glee," "American Horror Story," "The Normal Heart") has optioned "Empty Mansions" for a feature film. "'Empty Mansions' is one of the most fascinating reads of my lifetime," Murphy said. "It received all the votes as our favorite nonfiction book of the year." The Pulpwood Queens is the largest "meeting and discussing" book club in the world with more than 650 chapters nationwide and in 15 foreign countries. Founded in 2000 in Kathy Murphy's hair salon in Jefferson, Texas, the Pulpwood Queens don't take themselves seriously, with their signature outfits of hot pink and leopard print, but they do take their reading seriously. Their motto is "where tiaras are mandatory and reading good books is the rule!" Their mission is to help undiscovered authors get discovered in a big way and to help promote authors, books, literacy, and reading. Each month they read the main selection that their founder selects, and for the voracious readers the bonus selections too. A film about the group is in the works from Dreamworks Entertainment, based on Murphy's book "The Pulpwood Queen's Tiara-Wearing, Book-Sharing Guide to Life." Bonus book of the year: "The Promise," Ann Weisgarber (Skyhorse Publishing). Teen book of the year: "Wreath, a Girl," Judy Christie (Brosette & Barnhill Publishing Co.). Children's book of the year: "Mogie: The Heart of the House," Kathi Appelt, illustrated by Marc Rosenthal (Atheneum). The Doug Marlette Award for a lifetime promoting literacy: Marsha Toy Engstom, a.k.a. The Book Club Cheerleader. The Kat Award for support of the Pulpwood Queens: Phil Latham, editor, The Longview (Texas) News-Journal, and Melissa Sanford, Nacogdoches Convention and Visitor's Center. Older PostDid you buy one of the paintings by Huguette Clark?